Samsung Pay is a mobile payment and digital wallet service by Samsung Electronics that lets users make payments using compatible phones and other Samsung-produced devices. The service supports contactless payments using near-field communications, but also incorporates magnetic secure transmission that allows contactless payments to be used on payment terminals that only support magnetic stripe and normal contactless cards. The service was launched in South Korea on August 20, 2015 and in the United States on September 28 of the same year. In 2016 at the International Consumer Electronics Show (CES 2016), the telecommunications company announced that Samsung Pay would be coming soon to a variety of banks in Australia, Brazil, Spain and Singapore. You can authorise payments with your eyes using the iris scanner, one of the most secure methods of biometric authentication, to protect your transactions with Samsung Pay. Do not use with infants, please consult a doctor before use if you have epileptic of other medical conditions. Iris Scanner may be unable to read your iris where view of your iris is impaired or the appearance of your iris changes, including where you are wearing certain types of glasses or coloured contact lenses. 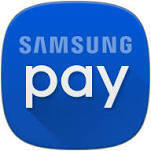 For More Samsung Pay Support Click Here. Here you can chat with Samsung Pay Support and also you can send mail to them.